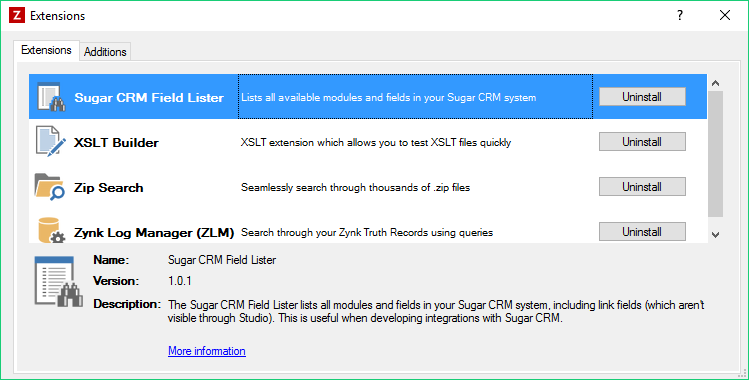 The Extensions Manager in Zynk allows you to download add ons which can help you build and troubleshoot your Zynk integrations. You can also check the Extension Manager for updates to each application you have installed. To open choose Extensions -> Extensions Manger from the main toolbar.